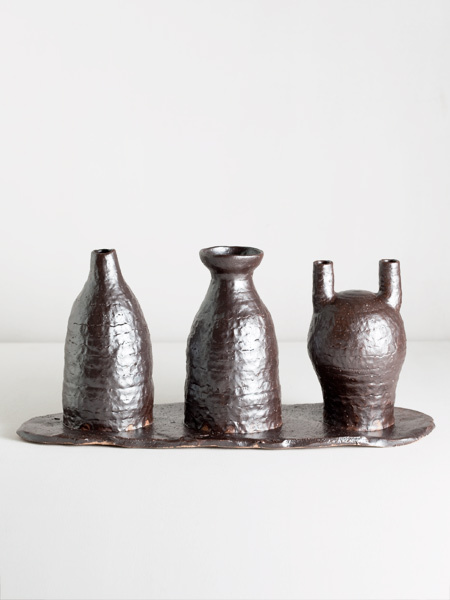 three coiled vases on a slab. coarse sand added in place of grog. as they melt in the firing and create an interesting texture. I used a simple mud-glaze, modeled after the korean Onggi-glaze.